On Monday night I ended up ordering the Fatigue Green Studio Crops on a whim just to check them out, and then immediately regretted it because I rarely wear Studio Pants or Crops, or any sweats for that matter. 95% of the time I wear my jeans or some variety of denim like pants. Also, I’m dubious of any Studio Pant purchase because the waistbands have had the persistent rolling issue (the inner elastic breaks down). They just now arrived and I really like the color a lot. Its actually closer to wren then I thought it would be looking at the online picture, but more towards olive than yellow. It also has the old metal ends on the draw cords which I know some of you were wondering about. I’m going to think on these for a few days before I return them because as of today my store still hasn’t gotten these in. 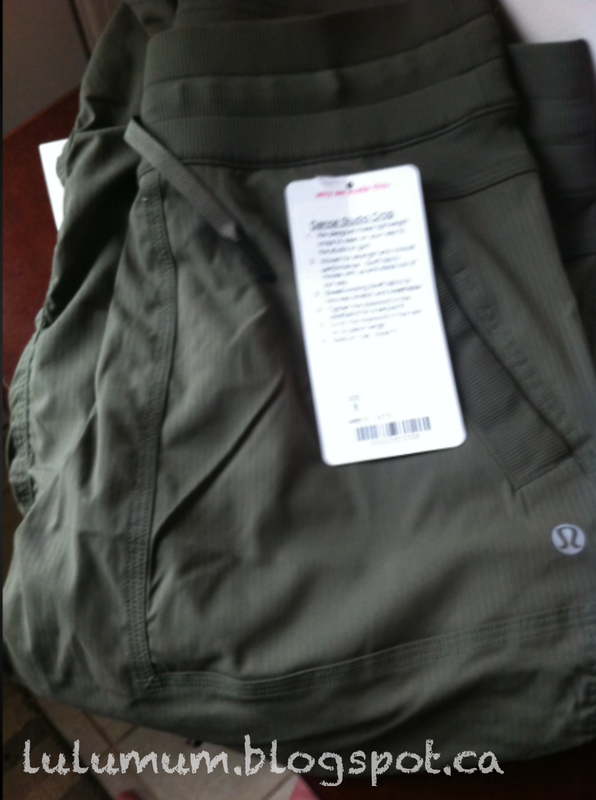 I’m quite pleased with the color though and wonder if its likely we may see Dance Studio Jackets in Fatigue Green. 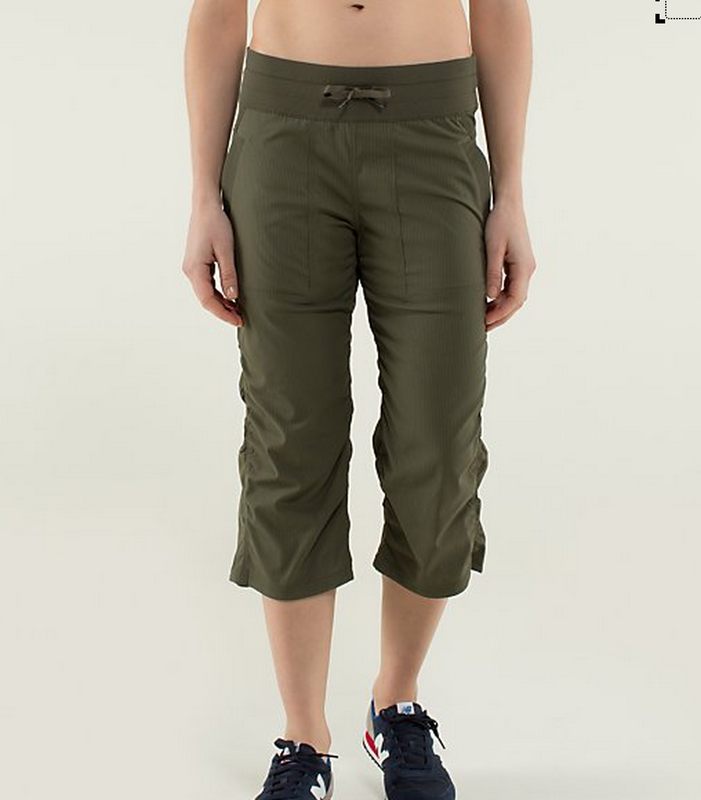 If I were to keep one pair of studio pants/crops in one color for ever and ever it would be this color. "New! Wee Are From Space Pink Wunder Under Crops"